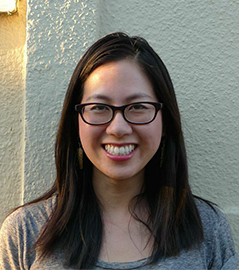 Christine I. Ho, assistant professor of East Asian Art, received her BA from Wellesley College and PhD in art history from Stanford University. She specializes in late imperial, modern, and contemporary Chinese art. Her research focuses on ink painting, aesthetics and politics, global socialist visual culture, and the postsocialist legacy. Additional teaching and research interests include histories of landscape and environment, transnational art movements, public art, and design cultures. Her research has been supported by the American Council of Learned Societies, Henry Luce Foundation, Andrew W. Mellon Foundation, and Chiang Ching-kuo Foundation. Her book, Drawing From Life: Socialist Realism and Socialist Painting in the People's Republic of China, is forthcoming from University of California Press. She is currently working on a monograph, titled Collective Brushwork, on the history, theory, and practice of collective art production spanning wartime China, the Maoist era, and the Reform period. "The People Eat For Free and the Art of Collective Production in Maoist China,” The Art Bulletin 98, no. 3 (2016): 343-372.